The company L’OREAL PRODUITS DE LUXE INTERNATIONAL S.A., a limited company registered on the Paris Commercial and Companies Register under the no. 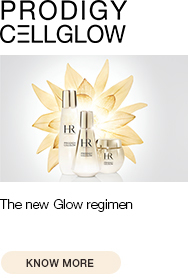 309 064 947 and having its registered office at 106 rue Danton, Levallois-Perret (92691), acting for its HELENA RUBINSTEIN department and brand, is pleased to welcome you to its www.helenarubinstein.com website so that you can discover the HELENA RUBINSTEIN products. 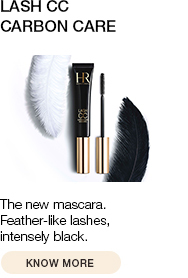 L’OREAL PRODUITS DE LUXE INTERNATIONAL has chosen the BRAND ONLINE COMMERCE company to create and manage its retail website www.helenarubinstein.com (referred to below as “the Site”). The creator of the www.helenarubinstein.com website is BRAND ONLINE COMMERCE S.A.S., a simplified joint stock company with a capital of 49,056 Euros, registered on the Paris Commercial and Companies Register under the no. 507 848 216, having its registered office at 5 rue Dagorno, Paris (75012), telephone 01 44 75 85 15, and the intra-Community VAT number FR 95 507 848 216. The Publications Manager is Florence Puech. The Site having been specifically created for visits by Europeans, we can assure you that we undertake to comply with the principles of confidentiality, honesty and security in terms of the processing of personal information under European law. The act of accessing and navigating the site constitutes an unreserved agreement by the Internet user of the following conditions. To access and use this Site, you must be an adult and have a valid email address. Your parents’ authorization will be necessary if you are a minor. You may be required to complete mandatory fields in a form, which are identified by an asterisk. In such event, you must complete these fields before entering the Site. Any inexact or incomplete registration will not be taken into account. You acknowledge that the information that you give us and which is stored in our computer systems is correct and is valid proof of your identity. Please advise us of any changes to such information. Access to the Site and/or some of its Sections may require the use of personal access codes. In such case, you must take the necessary measures to ensure that these codes remain secret. You can, of course, change them at any time. However, the number of attempts to access the Site and/or some of its Sections may be limited in order to prevent fraudulent use of the said codes. Please advise us of any fraudulent use that you may become aware of. In the event that the rules described in these Conditions of Use are not complied with, we reserve the right to suspend your access to the Site. In such case, we will inform you as soon as possible. While we will attempt to maintain the Site accessible at all times, we cannot guarantee such access in all circumstances. Access to the Site may be interrupted, in particular as a result of maintenance, updating or for any other reason that is out of our control. The Site and each of the elements comprising the Site (such as trademarks, images, text, videos, etc) are protected by intellectual property rights. The creation of this Site has involved substantial investment and combined work by our teams. For this reason, and unless specifically stated herein, we grant you only the right to consult the Site strictly for your own personal and private use. Any use or reproduction of the Site (fully or partially) or the elements comprising it in any media whatsoever for other purposes, in particular commercial, is not authorized. Exceptionally, we can give you specific authorization to reproduce and/or use all or part of the Site in certain media. Any request for authorization of this type must first be submitted to us. To contact us, use the Contact page. First, we remind you that use of the Site presumes that you have the necessary equipment and software enabling use of the Internet. In addition, we remind you that, because use of the Internet does not guarantee the security, availability and integrity of information sent, we cannot be held liable in the event of errors, omissions, deletions, delays, defects (in particular as a result of viruses) in communication lines, computer equipment and software over which we have no control or in the event of a non-authorized use or damage to any contents that you may publish on this Site. We support the values of tolerance and respect for others. For this reason, this Site cannot be used to express racist, violent, xenophobic, malicious, obscene or unlawful statements. • undertaking illegal activities, in particular breaching the rights of holders of rights to software, trademarks, photographs, images, text, videos, etc. We remind you that you must hold all of the rights and/or authorizations for any content that you may wish to publish on this Site. We therefore recommended that you do not publish content (in particular, photographs) that show recent architectural, advertising or clothing items on which the brand name may appear (acronyms, logos, etc). Lastly, we advise you that contents (in particular, photographs and videos) showing minors will not be accepted on this Site. Different Sections can be made available to you on this Site: Downloadable Content, Online Applications, User Content, Forum, etc (the “Section(s)”). We may provide you with content on this Site that you are authorised to download (the “Downloadable Content”). By downloading or using this Downloadable Content, you undertake to use it in compliance with these Conditions of Use. We grant you a free, non-exclusive and non-transferable right to use the Downloadable Content solely for your personal and private use for the legal duration of the copyright. Any reproduction, use, modification or distribution of Downloadable Content must be the subject of specific authorization from us. Any request for authorization of this type must first be submitted to us. To contact us, use the Contact Page. We may provide you with computer applications (the “Online Applications”) on this Site. We grant you a free, non-exclusive and non-transferable right to use the Downloadable Content solely for your personal and private use for the legal duration of the accessibility to such content. You undertake not to modify, adapt, copy, correct or distribute the Online Applications or any trademark or ownership mark contained in these Online Applications and/or on any related media. Please inform us of any anomalies affecting the Online Application by using the Contact Page. We will then make our best efforts to correct such anomalies as soon as possible. We may provide you with an area on this Site for the purposes of receiving user content, for example text, photos, videos, etc (the “User Content”). By publishing User Content on the Site, you herein grant us a free, perpetual, irrevocable, non-exclusive and worldwide licence to use, copy, modify, adapt, distribute, translate, create derivative products from, combine with other works and distribute this User Content (fully or partially) in all media (including, without limitation, this Site). You have exclusive choice over and liability for the User Content that you publish on this Site. However, we remind you that such User Content must not be contrary to the applicable legislation, indecent and must not breach third-party rights. We therefore reserve the right to remove, at any time, any User Content that is clearly illicit and/or indecent and/or breaches third-party rights. Please advise us of any User Content that you consider to be contrary to the applicable legislation and/or indecent and/or contrary to the principles set out herein and/or breaches third-party rights by using the Contact Page. We may provide you with an area on this Site that enables you to communicate with other users (the “Forum”). The Forum must be used in compliance with the applicable legislation and the principles set out herein, respect third-party rights and its content cannot be indecent. Please advise us of any communication that you consider to be contrary to the applicable legislation and/or the principles set out herein and/or breaches third-party rights and/or is indecent by using the Contact Page. We will attempt to provide you with information that is correct and up-to-date. However, the sending of data and information over the Internet being only relatively technically reliable, we cannot guarantee the correctness of information contained on this Site. Moreover, we remind you that errors or omissions may appear in information available on this Site, in particular through third party intrusion. Please advise us of any error or omission by using the Contact Page. Unless otherwise stated, the products and services that are presented to you on this Site are not offered for sale but form a presentation of the range of products and services that we distribute throughout the country in which this Site is accessed. The advice provided on this Site and/or any diagnostic tools that may be available are merely simulations aimed at obtaining advice on cosmetics. The information that they provide is given strictly for information purposes only and cannot under any circumstances replace a medical diagnosis or clinical consultation or replace medical treatment. Consequently, we cannot guarantee you full satisfaction in relation to the advice resulting from the use of such tools and assume no liability in relation to the use that you may make of it. For any supplementary information or if you have any doubts, we recommend that you consult your doctor and/or that you contact us by using the Contact Page. The hypertext links on this Site may take you to Internet sites published by third parties the content of which we have no control over. Consequently, and to the extent that the hypertext links are included in this Site solely in order to facilitate your navigation on the Internet, the viewing of third-party sites remains your choice and your exclusive liability. In addition, if you wish to create hypertext links to this Site, you must first apply for authorization from us by using the Contact Page. Cookies are small files that are stored in your computer when you navigate on an Internet site (for example, the pages that you have viewed, the date and time of viewing, etc) and which may be then viewed when you later visit the same Internet site. To benefit from all of the Site functionality, it is preferable that cookies be allowed. We remind you, moreover, that cookies do not enable us to identify you and that the duration of information stored by the cookies in your computer is 6 months. However, in compliance with the recommendations of the National Commission on Computers and Data Protection (CNIL), we advise you that you can oppose the registration of copies by reconfiguring your navigator (information available on the website http://www.cnil.fr, “cookies notices” or “cookies” sections). We may collect your personal information, in particular when (i) you subscribe to a service, (ii) download Downloadable Content, (iii) use a Section and/or diagnostic tool, (iv) register for a game/competition, (v) send us an email, (vi) reply to a survey or research. • Provision of services: sending newsletters, access to certain advice sections, etc. • In addition, if you have so authorized by ticking the respective box, we may transfer your personal information to our partners. Pursuant to the Computers and Data Protection Law of 6 January 1978, amended in 2004, you have a right to access, oppose, rectify and delete data that concerns you. You can exercise this right at any time by sending an email, together with a photocopy of your ID card or passport, using the Contact Page. We may modify the contents and information included in this Site and these Conditions of Use, in particular in order to comply with any applicable new legislation and/or regulations and/or in order to improve the Site. Any changes will be included in these Conditions of Use. The helenarubinstein.com site is hosted by the company No Blue Screen System S.A.S. (NBS System), having a capital of 203,905 Euros, its registered office at 140 boulevard Haussmann, Paris (75008), telephone 01 58 56 60 80, France, which is registered on the Paris Commercial and Companies Register under the number 423 410 901.